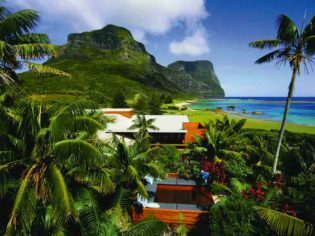 Capella Lodge on Lord Howe Island is the ultimate Australian destination for those who really need to take time to unwind and indulge . Nine suites cater to a maximum 20 guests. Located about 600 kilometres east of the NSW coast, Lord Howe Island is a Pacific paradise inscribed on the World Heritage Register for its spectacular topography (“remarkable volcanic exposures not known elsewhere”) and hundreds of endemic species. Nestled on the quiet southern tip beneath the towering peaks of mounts Lidgbird and Gower, Capella Lodge is the island’s finest accommodation – a superbly civilised outpost so far from civilisation. Its inspired interior design, cuisine and intuitive service share the same DNA as sister property Southern Ocean Lodge at Kangaroo Island. Small but perfectly formed is the mantra here, with just nine suites, a restaurant, bar, petite spa, plunge pool and sweeping sea views. $650 twin share per night including breakfast, dinner and sunset cocktails. The duplex Lidgbird Pavilion is a designer eyrie perched above the ocean. The chic downstairs lounge with its futuristic bio-ethanol fireplace, blackbutt floors and complimentary minibar opens onto an expansive, frangipani-fringed deck equipped with private plunge pool, outdoor bath and daybeds galore. The lavish sleeping quarters upstairs capture dramatic panoramas of sea and mountains whether lying in bed, seated on the balcony or cradled in the wicker pod chair suspended from the ceiling. Lidgbird guests also get a personal golf buggy for exploring the island. From $1200 twin share per night. There are plenty of free activities around Capella. Surf: Blinky Beach is the locals’ favourite for body and board surfing. (There are ample hire shops on the island if you didn’t bring your own gear.) Twitch: Lord Howe is seabird heaven with the world’s largest colony of red-tailed tropicbirds, the only breeding colony of Providence petrels and swarms of shearwaters, masked boobies and ruddy turnstones. Off-site you can fire up a barbecue lunch at Cobby’s Corner, where the local council supplies neat bundles of firewood free for use by holidaymakers. For an extra charge, guided walks tackle the 875-metre Mount Gower twice a week, on Mondays and Thursdays, to visit the ‘cloud forests’ of Coal Age vegetation. Priced from $50pp for a group tour, or you can arrange a private guided walk for one for $400. Take a boat ride onto the world’s southernmost barrier reef for a day’s snorkeling or diving amid kaleidoscopic corals and submarine species ($45 per person for the boat trip, diving gear extra). 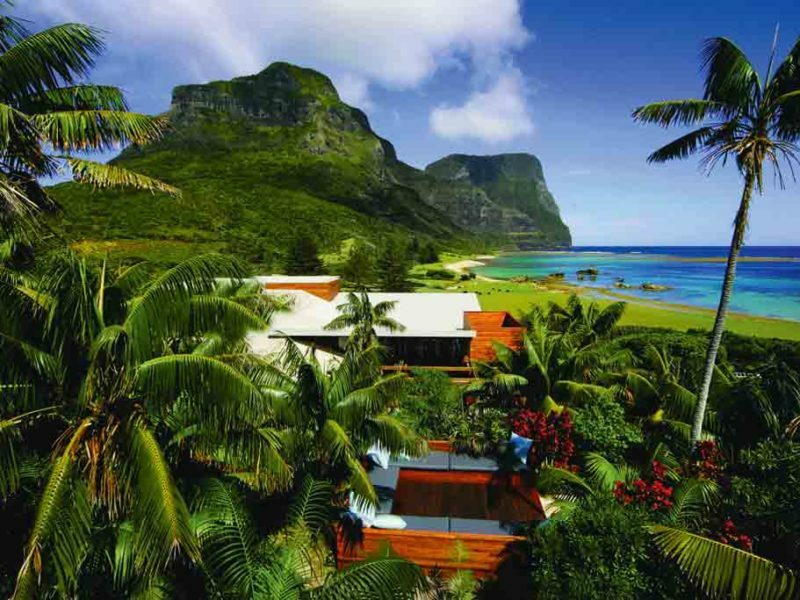 Capella’s location in the south of the island (“God’s own country’, according to those who live there) is arguably the most beautiful slice of Lord Howe Island’s World Heritage-listed loveliness. It’s like living in a postcard. Floating in the plunge pool or enjoying a cocktail on the terrace in the shadow of the towering peaks of Lidgbird and Gower, the latter rising sheer into the sky for almost a kilometre. The Baillies’ attention to detail, honed to a fine art at the internationally renowned Southern Ocean Lodge, informs every aspect of the service here, too. Not all suites have ocean outlooks. Views from the single-level Capella suites are obscured by a palm garden so, if views are important, go for a split-level loft instead (or the Lidgbird Pavilion). Capella Lodge is four kilometres from the main township and most of the island eateries. That said, dining out needn’t be a challenge; the lodge will happily drop you to dinner and restaurants will drive you home. It’s that kind of place. Chef Ben Thompson, ex-Southern Ocean Lodge, sources produce straight from the sea and from specialist mainland suppliers, with an emphasis on the organic and seasonal. The lodge’s airy, glass-walled restaurant is a delight. Complimentary canapés and sundowners are served each evening on the Gower terrace. Breakfast, dinner and sunset drinks are included in tariff.